Meanwhile, WAITS photographic book collaboration with Anton Corbijn—WAITS/CORBIJN ’77-’11 sold out all copies from the publisher, Schirmer/Mosel, within one week of its May 8 release. 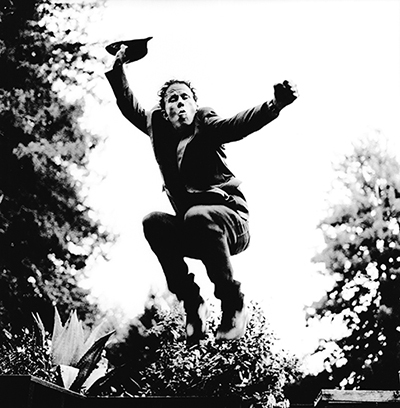 Fans and collectors, however, can still find the coffee table art book at www.tomwaits.com, select independent book stores, museum gift shops and online book retailers. His 2012 Grammy Nominated album, Bad As Me, was Waits’ last release. Pitchfork said: “Bad As Me feels as new as it does ancient,” while The Onion’s AV Club called it: “"Waits' embrace of a legacy that now includes enshrinement in the Rock And Roll Hall Of Fame," concluding that "for longtime fans it’s a fun reminder of Waits' ability to be a badass when necessary." For updates on anything Waits related go to www.tomwaits.com.